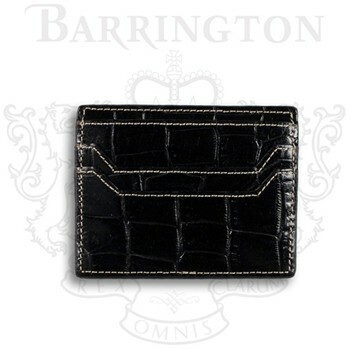 The Barrington Covington Slim Card Case is the product of client feedback from the original Covington Card & Cash Slip. It is now an even more functional piece, with even more pockets to hold credit cards, airlines cards, business cards and more. Approximate size: 3 in. x 4 in.